This study aims to investigate the effect of ethical leadership on employee attitudes (affective commitment and job satisfaction) and to examine the role of psychological empowerment as a potential mediator of these relationships. In total, 467 employees in Chinese public sector completed surveys across three separate waves. Confirmatory factor analysis and structural equation modeling were used to test hypotheses. 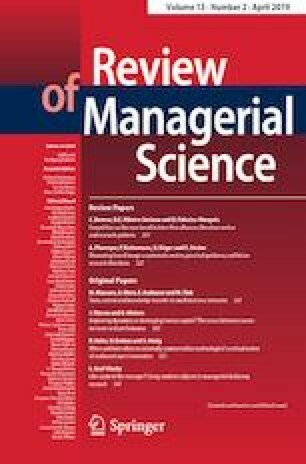 The paper found a positive relationship between ethical leadership and both employee attitudes and further reveals that psychological empowerment fully mediates the relationship between ethical leadership and affective commitment while partially mediates the relationship between ethical leadership and job satisfaction. Testing of above relationships via a mediated approach is novel and contributes to the research on ethical leadership.